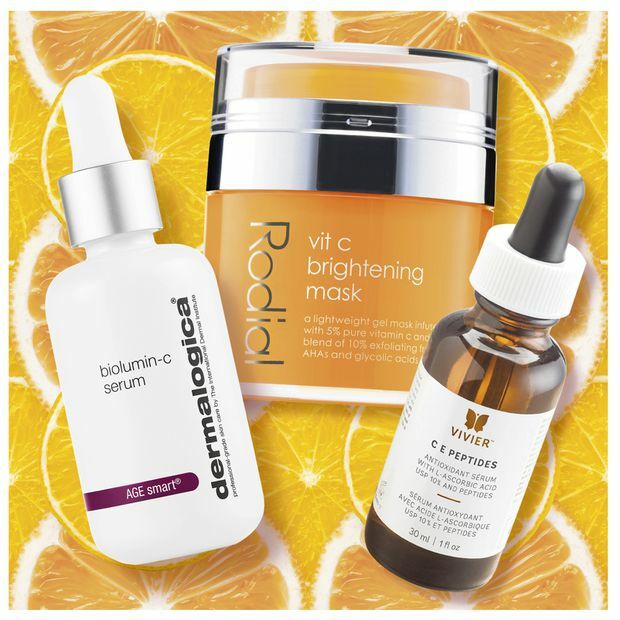 We’ve long known of the importance of incorporating vitamin C in our diets to help our bodies heal and absorb iron, but recently this powerful little antioxidant has become a rising star in skin care. While I’d like to think it’s because of vitamin C’s association with cheerful citrus fruits, plastic surgeon and owner of Toronto’s SpaMedica Dr. Stephen Mulholland tells me it has more to do with its inherent skin-plumping properties. Vivier C E Peptides, $174.50 at Spa Medica (spamedica.com) and through vivierpharma.com Rodial Vit C Brightening Mask, $110 at Murale (murale.ca). Dermalogica BioLumin-C Serum, $118 through dermalogica.ca. Dr. Stephen Mulholland recommends Vivier’s vitamin C serum to his clients because of its pharma-grade L-ascorbic acid. Vivier C E peptides, $174.50 at Spa Medica (spamedica.com) and through vivierpharma.com. Recommended for use once or twice weekly, this gel mask combines 5 per cent vitamin C with 10 per cent fruit, glycolic and lactic acids to exfoliate and brighten skin. Rodial Vit C brightening mask, $110 at Murale (murale.ca). This new serum is designed to help boost skin’s natural defences against environmental aggressors. Dermalogica biolumin-C serum, $118 through dermalogica.ca. Visit tgam.ca/newsletters to sign up for the Globe Style e-newsletter, your weekly digital guide to the players and trends influencing fashion, design and entertaining, plus shopping tips and inspiration for living well. And follow Globe Style on Instagram @globestyle.